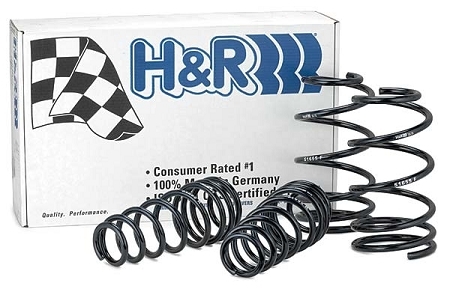 H&R Sport Springs are designed and engineered for each particular application to lower the vehicle's center of gravity and reduce body roll. They offer the correct spring rate for low, aggressive looks, high performance handling and no ride harshness! Stock ride comfort is retained while a lowered ride height between 1.25” – 1.8” on average can be expected. Ride Height: Moderate Lowering Avg low 1.4"F & 1.3"R.